I did not see this game, so I first heard of the Ravens new pants right here. That's why I made this thread. I'm glad you made it so fast. Sure it's just a few texture swaps, but it still says something. Austinmario13 wrote: That's why I made this thread. I'm glad you made it so fast. Sure it's just a few texture swaps, but it still says something. Redskins have not worn this in 5 years. Can we get this topic pinned? I think this thread deserves a sticky. With WA and DET, that's 3 uniforms that I, personally heard about from this post. Probably would have found out eventually, but not as fast. I will put the Skins and Lions uni's together this week and add them to my thread. EDIT: Scratch the DET white/silver. I just checked and it's already available....must have done that one last season. Because I told you last year they would wear it eventually... I thought it looked good, and you said it was because I'm a Cowboys fan. Remember? 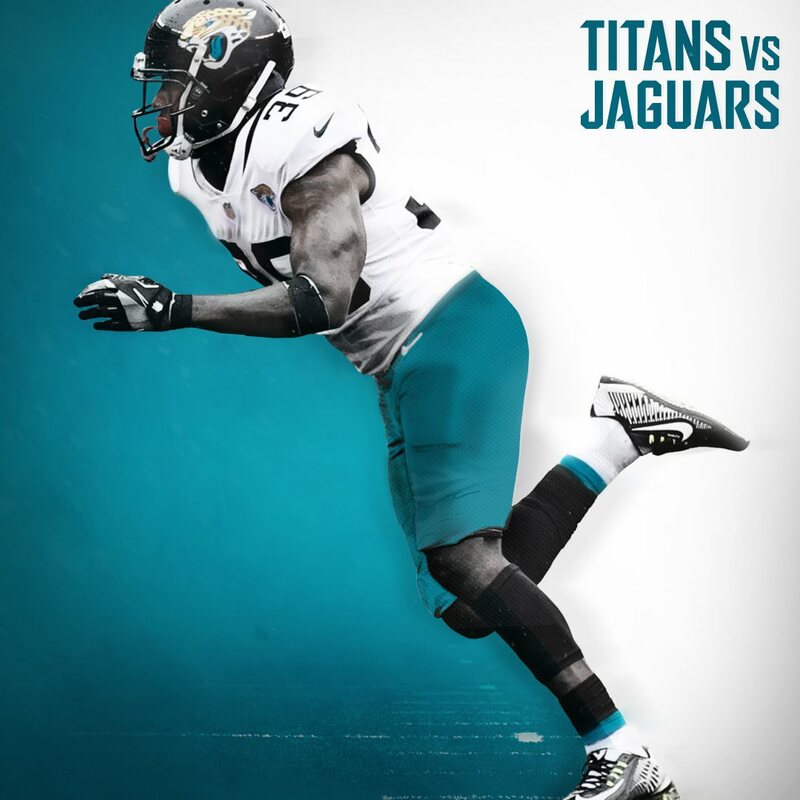 Fancy new combo for the Jags this Sunday! I heard on the ESPN Radio this morning that the Browns will finally be wearing their all-brown color rush uniform for Thursday Night Football. It's about dang time...that uniform was advertised 3 seasons ago. Also, it is "ESPN", so take it with a grain of salt. But, I hope it's true.